When you head for a familiar venue, invariably you have a spot in mind that you intend to set up in. Then, of course, in the event that it is taken, you have a Plan B and probably C or D if it is a particularly busy place. Off to fish a pool where many of my carp-related blog entries have come from, I had exactly that lay-out in my mind. Fishing it mostly in winter, I usually have it all to myself, however on arrival I found that every single one of my options was taken. By a process of elimination beyond my control, I pitched up in a corner that was maybe just about on the bench, certainly not in my first team. It’s a decent peg in the winter with lots of overhanging trees to offer protection, but in the summer not necessarily in with your main options. The fish aren’t holed up and they are quite active. It was the latter point though that I drew comfort from, knowing that as I put bait out, in time fish would find it. That was the plan, and you always need one of those when fishing. Regardless of the situation however, one thing that I always have when I’m bankside is confidence. Once I’ve got the rods out, I’m forever expecting a run. In itself, of course, confidence won’t put carp on the bank but without it you’ll never fish to your full potential. Hence, as I laid the rods on the unhooking mat and set the reels, I was more than hopeful that in due course, I would get some action. With the left rod up against overhanging trees and the other into open water, it was the former that saw the first bit of action. It was one of the better fish in the pool as well, unfortunately I didn’t get up close and personal with it though as I had the dreaded hook-pull. Although my rigs were pretty much the same, the difference was that I fished with braid on this rod as opposed to mono on the other. Once hooked, fish will instinctively head for cover, and with braid able to cope with branches in the water far better, that was the reasoning behind that. The hooks I fished with were SBS’ grip tip, size 6, and the braid was challenger, which is a soft, sinking hooklink. The bait approach consisted of tutti frutti corn-shaped boilies (poppers) on the left rod and 16mm strawberry jam pop-ups on the open water baited area. I catapulted regular pouches of pellets – attract betain tutti frutti to the former and edge match to the latter. In addition, loose offerings of the respective boilies to each went out as and when I felt a top-up was required. 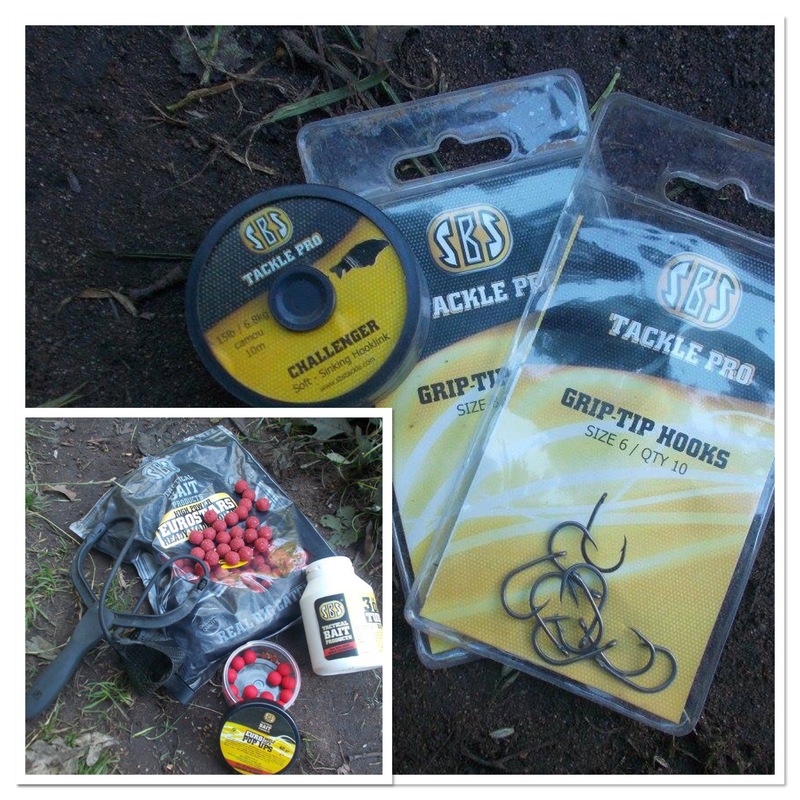 More so than any other branch of angling, carp fishermen take a serious interest in the bait side of things. Back to the confidence point I made at the beginning of the blog entry, bait definitely falls into this category. Like many keen anglers, I have made my own baits. I went through a stage many years ago where I developed – for my own use only – a range of boilies. It is great fun when you catch on your own creation and it certainly gives you a sense of personal satisfaction. However, for a number of years now I have fished exclusively with SBS products, and this is very important – I have total confidence and trust in whatever it is I take bankside with me. That’s why I’ve been more than happy to promote, plug and push at any opportunity that has arisen. Like any other angler I want to catch, and recognising the importance of bait, I want to fish with something that I have 100% faith in. I would never tell others what they should choose, all I’m saying is that this is my choice. Back to the action and it was again the left rod that came alive as a small common picked up the bait and went on a short run. 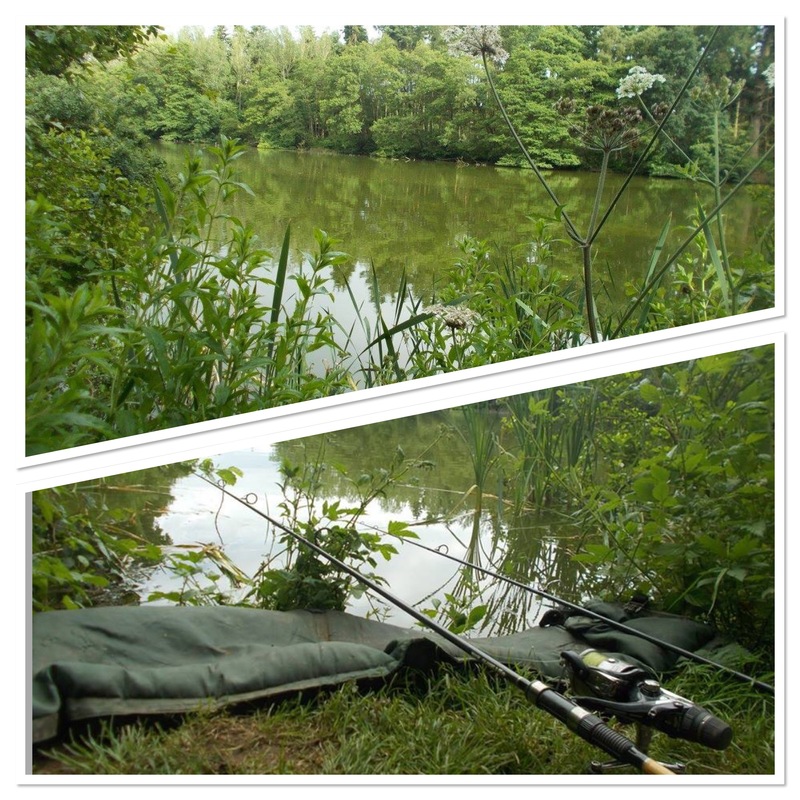 Heading into open water and not the overhanging trees, I was always in control, and after the previous lost fish, it was great to ease it over the mesh and onto the mat. 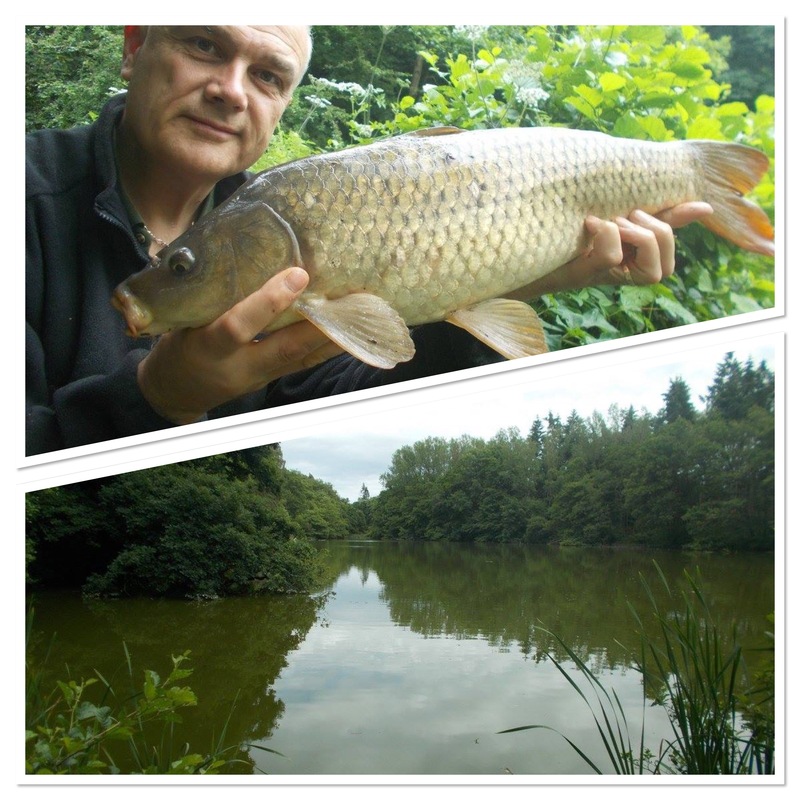 I don’t get many hook-pulls at all when carp fishing but when I then pulled out of one on the strawberry boilie rod it meant, at that moment in time, I had lost more than had seen the bank. 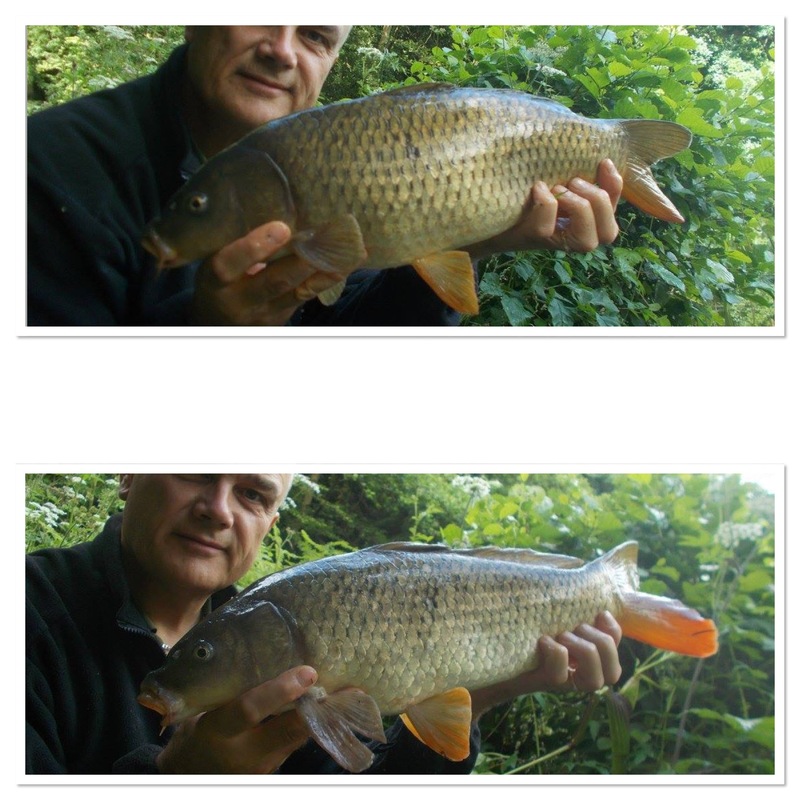 I ended the session with three small (you can only catch what’s in front of you) commons but I also had three that escaped via the hook pulling free. There wasn’t anything wrong with the rig or the hooks – both have served me well as a double-act for some time. Sometimes it’s just one of those things, that’s all. After drawing fish into the swim, I left with probably the best three hours in front of me – the ones up to dark. 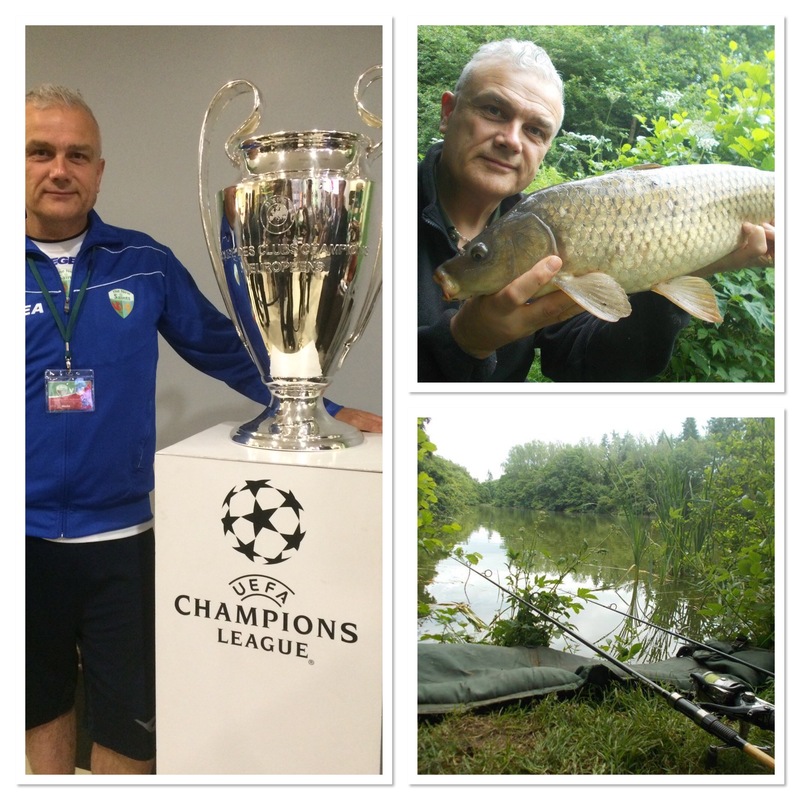 Unfortunately, from an angling perspective, football was calling. Still, at least I grabbed a few hours and I caught. It’s better than nothing. And that’s a fact. 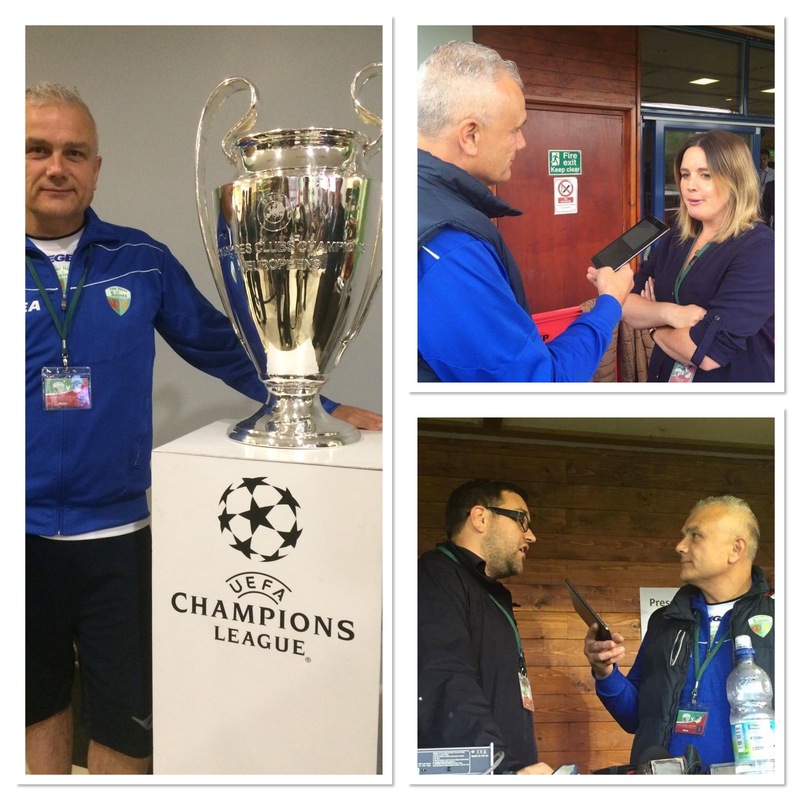 Talking of football, the TNS Champions League adventures are still very much alive and on Tuesday we took on Apoel FC. Having reached the quarter-finals in 20111/2012 plus the group stage since, not to mention two group stages in the Europa league, it was a tough challenge that lay ahead. However, a solid performance from the champions of Wales saw our counterparts from Cyprus held 0-0. It’s all to play for next week in Nicosia. Thirteen months ago I had never been to a Champions League game, this was the seventh that I’ve had the pleasure of commentating on for TNS Radio. The show went well and I’m amazed – and truly humbled – at the great feedback that we get. Why not listen yourself? Feel free to contact us as well while we’re on air and we will give you a shout-out. The link is on the TNS website and we go live fifteen minutes before kick-off.